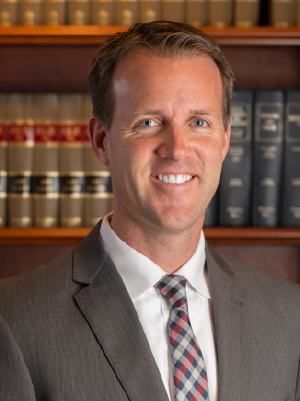 The jury verdict secured by Nathan and our legal team stems from a wrongful death lawsuit filed on behalf of the wife and family of a Davis County man who was struck and killed in a tragic trucking accident. The fatal collision occurred in 2015. The victim was pulled over onto the right shoulder after his vehicle broke down. Although he had taken precautions to protect himself – including turning on the vehicle’s emergency lights, hanging an orange safety flag from the rear of his vehicle, and wearing a headlamp when looking under the vehicle’s hood – the victim was struck by an oncoming semi-truck. The jury determined that the semi-truck had drifted into the emergency lane and that the passenger side mirror fatally struck the head of the man. The jury also determined that the driver’s employer, New Prime, Inc., had failed to adequately train the driver. The truck driver and New Prime, Inc. vigorously disputed that the driver had acted negligently, arguing that the man intentionally ran into the truck’s path. A witness corroborated the driver’s story. However, the police investigation revealed that nearly all of the debris, including the body, was located in the emergency lane. The police were unable to find evidence in the roadway and the driver did not return to the scene until nearly 20 minutes after the collision. ECKO’s accident reconstruction expert contradicted the truck driver’s story with state-of-the art animation and evidence that the collision occurred in the emergency lane. ECKO’s trucking expert established that Prime Inc. had not kept any training records and had not complied with industry standards. Violations of state and federal trucking laws, including log, pre-trip inspection, and vehicle maintenance violations. Ultimately, the jury held the defendants 75% at fault for the victim’s death. The 25% of fault allocated to the victim brought the $2.5 million verdict to a total judgment of $1.875 million. Our entire team at Eisenberg, Cutt, Kendell & Olson is grateful to have played a role in resolving this case for our client and her family. Although no amount of money can ever make amends for tragic and untimely losses, successful verdicts can ensure families are provided with the sense of justice they deserve, and the financial compensation they need. These judgments also play a part in setting an example that negligence and violations are never to be tolerated. Eisenberg, Cutt, Kendell & Olson is an experienced, award-winning personal injury law firm that fights for victims and their loved ones following preventable accidents. Our talented trial lawyers handle a range of injury cases – from those involving commercial trucking accidents and wrongful death to sexual assault and product liability claims. If you or your family have questions about a civil personal injury matter of your own, call (801) 901-3470 or contact us online.